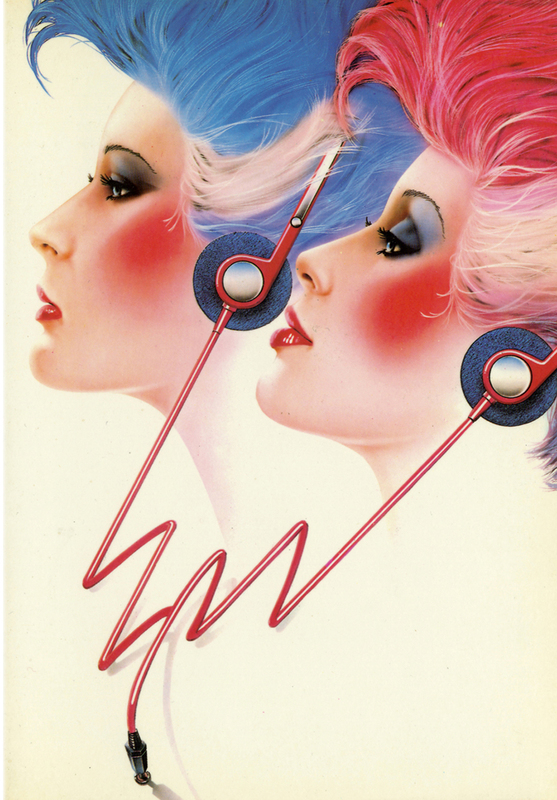 As the grimmer social realities of the 1980s began to take hold, more abstract aspirations began to fuel the collective imagination, and the airbrush—a device originally invented in the second half of the 19th century—proved to be an effective tool for creating dreamlike imagery that combined the smooth realism of the photograph with the artifice of the painting while eliminating the potential dissonances of both. 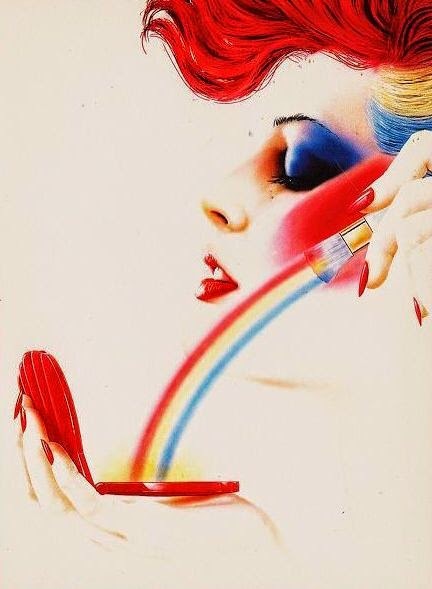 After working as an Assistant Art Director for J. Walker Thompson and a Creative Director at McCann Erickson, Syd Brak—born in South Africa to a Dutch father and English mother—emigrated to Britain to pursue his love of illustration. 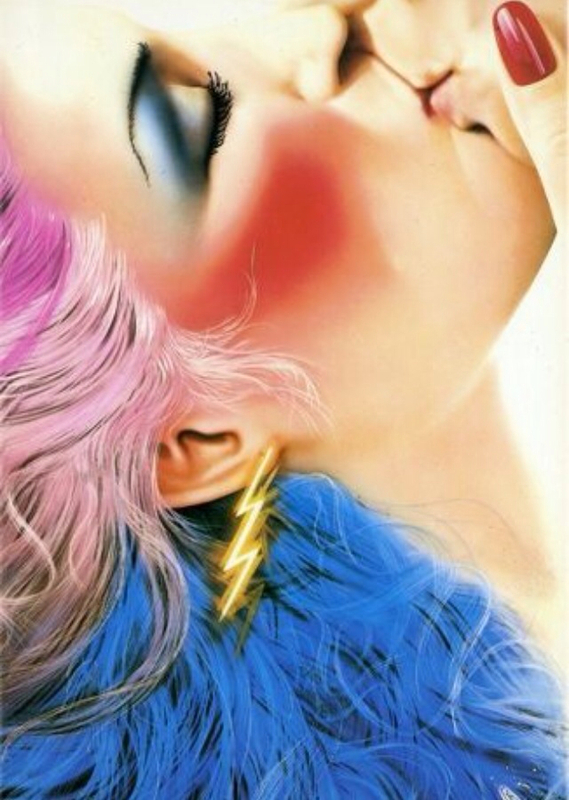 Inspired by British commercial artists like Philip Castle, Michael English, and Alan Aldridge, he moved to London in 1978, and soon became one of the country’s most sought-after airbrush artists. In the early 1980s, Brak was approached by Athena, a British poster company founded in 1964 and initially specializing in art prints. The company had scored huge hits in the 1970s with its posters of The Lord of the Rings and a youthful tennis player wistfully scratching her naked bottom—Tennis Girl. Changing tastes saw sales dwindling in the following decade, however, and Athena wanted to target teenagers, who, it was hoped, would change the decoration of their bedroom walls more frequently and boost sales. Brak decided he would take punk as his theme, tackling it as “an Italian designer would handle it“—maintaining the excitement and color but eliminating the grit and vulgarity, and imbuing the final product with a patina of emotion and aspiration. The result was the Art Deco-ish world of impossibly artificial perfection seen in Brak’s “Kiss” series, which he claimed was meant to communicate “maturity and sophistication.” Free of the depressing realities of the time, the dramatic, mysterious, and modern images of diaphanous female faces and bold, almost tribal, makeup recalled both the bleached glamor of early cinema and the pop glitz of glam rock. 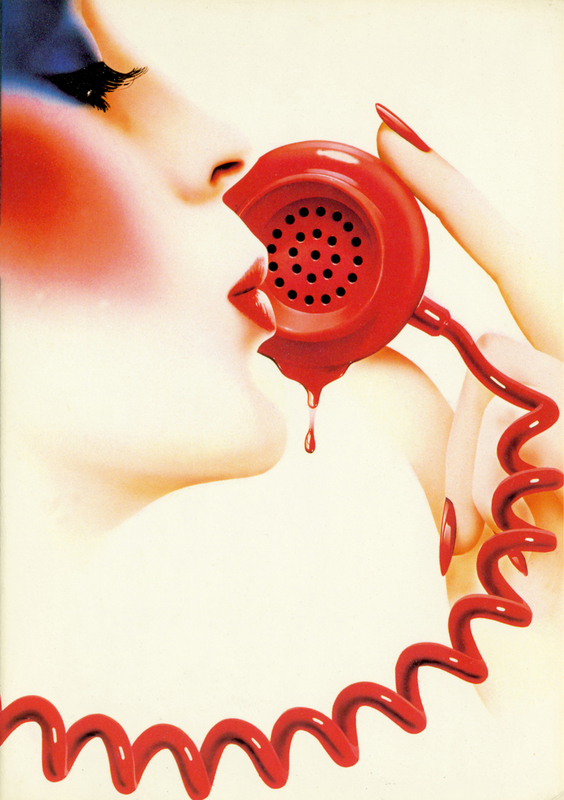 Long Distance Kiss, the first in the series, was a huge hit, reportedly the top selling poster in the world in 1982. It is interesting to compare Brak’s art with the Norman Rockwell pictures he claims initially stimulated his love of illustration: where Rockwell’s finely-painted, homely, and provincial aesthetic was rooted in perceived archetypes of small-town life, Brak’s emotionally inscrutable heroines transcend location and time, engaging with an insubstantial world via technology. 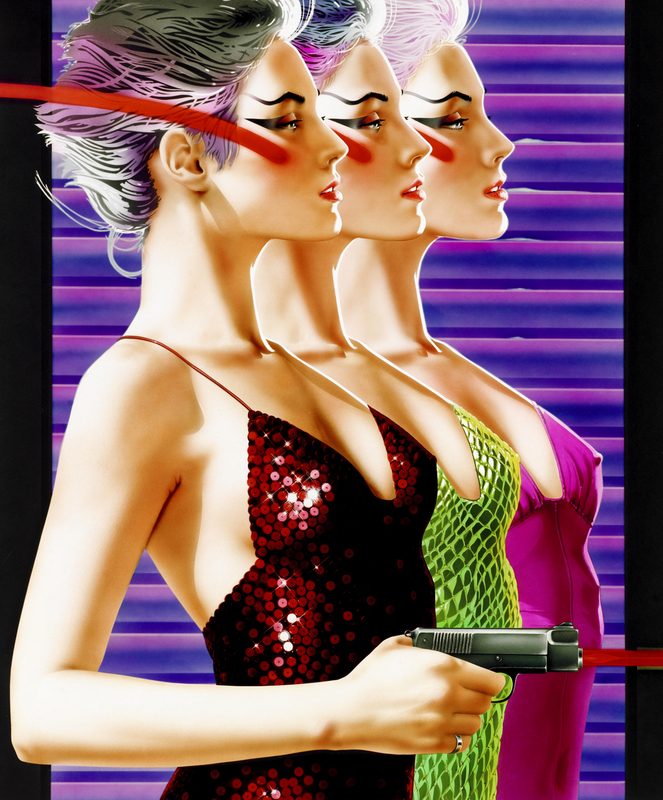 Brak’s posters for Athena, which included titles such as First Kiss, Forget Me Not, and Three Girls and a Gun, would go on to sell vast numbers of copies and become ubiquitous images, reflecting and perhaps even shaping—similar to his Los Angeles peer, Patrick Nagel—the preoccupations and moods of the times. Brak would also produce memorable record cover art for, among others, Chris de Burgh and Sigue Sigue Sputnik. This brings back memories. Dimly remember going into an Athena store once/or a poster store that carried their line. Mostly I was a Nagel fan — but I think though were very talented and a lot of their work I think also influenced by earlier Varga pin-up girl illustrations.